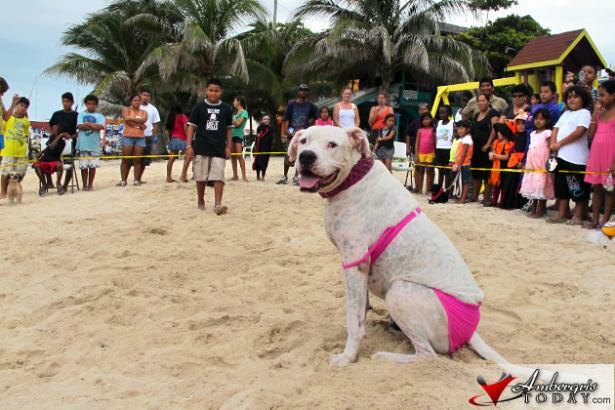 Halloween on Ambergris Caye - for People and Their Pets! They indulge by also dressing up their pets. And who could ever forget Scuba Dog? There's always more than enough whimsy and frivolity to amuse even the curmudgeons. Much to my dismay, I missed this yearÂs Saga Halloween party. My return flight didnÂt arrive until mid-afternoon, Halloween. The party had been held on Sunday afternoon, the day before I returned. Â But, fortunately, there were plenty of pictures from this yearÂs party, thanks to the Ambergris Today and the San Pedro Sun. There were 40 pet entries this year. Â The grand prize was awarded to Luna, in Rebel Fairy attire. Â Luna is quite unusual on this island. Â SheÂs neither a dog, nor a cat. Luna is a ferret! The Scariest Costume went to Hefa the Witch. Every year there are two notorious Halloween parties. The first is held at the Holiday Hotel. ItÂs a tradition here on the island, and the party goes on into the wee hours of the night. A newer, but equally notorious party is the Pimp and Ho Party, held at PedroÂs Inn. Needless to say, anything goes at that party. Costumes tend to be outrageous, and often are racey... But people in San Pedro are tolerant. We enjoy anything absurd if it's good for a laugh. 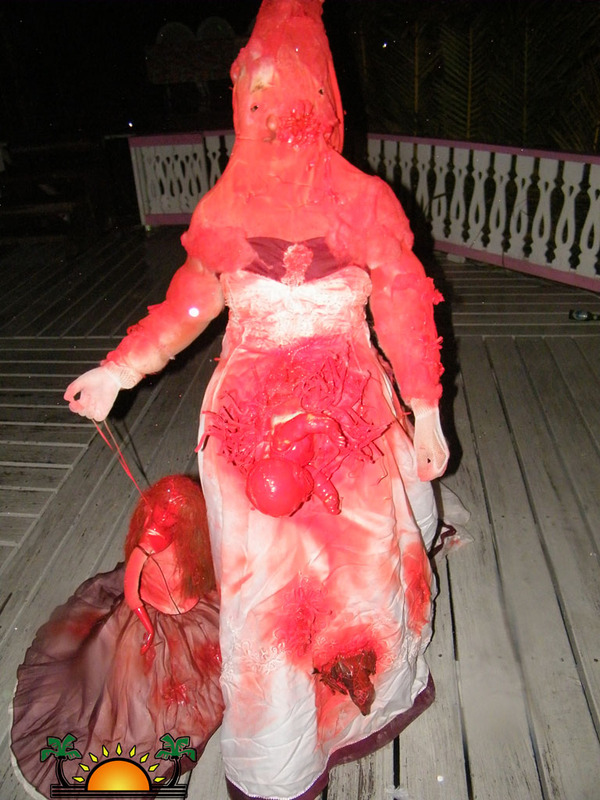 So if you ever come to Ambergris Caye for Halloween, you'll find a party to suit your taste!